Have you seen the new Sun cell TV ads with Ryan Agoncillo? For me, it's one of Sun cellular's great advertisements, I personally like the concept. It's funny, the ads not too fast and clearly states the objective. My husband Jonel is a Sun postpaid subscriber for years now. That's also the reason why he get me a prepaid Sun sim so he can easily get in touch with - no need to text, call agad. 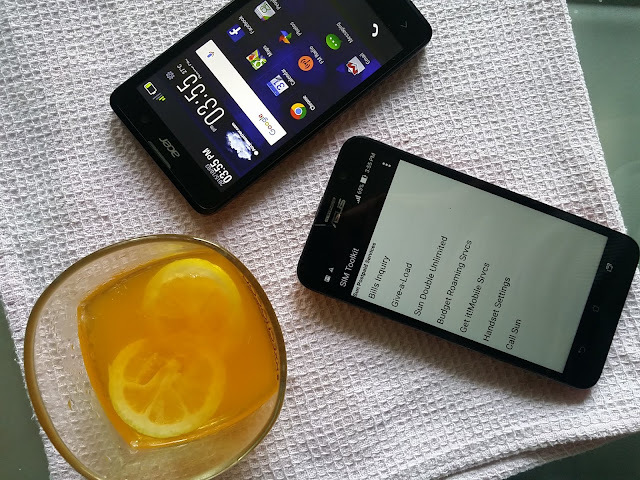 Today, I'm enjoying unlimited texts and calls to Sun subscribers through Sun Plan 350. 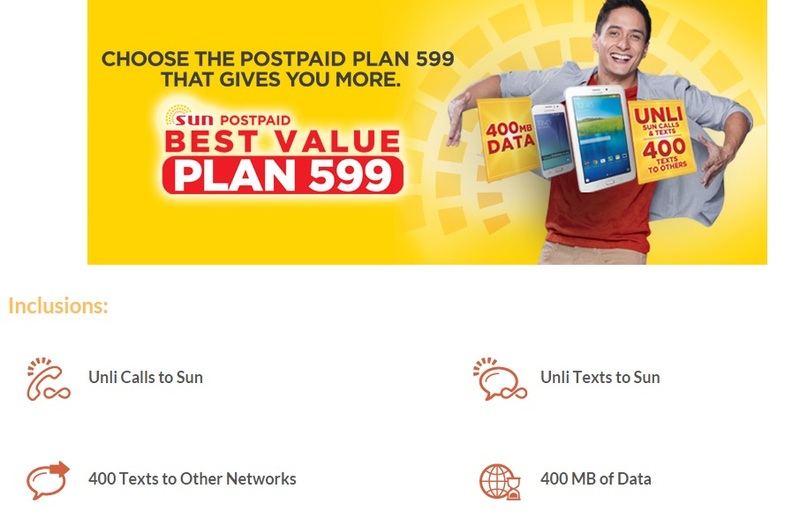 Last week, Sun has come up with another offering, the Postpaid Plan 599, an irresistible bundle of calls, text, data and device that makes it the best postpaid plan 599 in the market today. For me it would be better to understand the offering if you watch Ryan's TV ads, besides it's fun to watch. Anyway, Sun Postpaid Plan 599 offers unlimited Sun calls and texts, 400 texts to other networks, and 400MB data per month as well as a free Android smartphone and Samsung 3V tablet. What I like in this promo is the free Samsung 3V tablet aside from the Android phone. Others network offers less data, and just a free phone. What do you think of Sun Cellular Postpaid Plan 599?